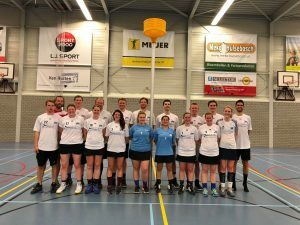 This weekend saw the Scotland National Squad visiting the home of Korfball with a trip to current European Champions TOP KC in Sassenheim. The squad arrived Friday evening and settled into their hotel base before a busy weekend schedule. Saturday morning was spent on technical training, with assistant coach Bas Harland leading the squad through new shooting techniques. The afternoon session focused more on tactical training covering defence and team play. After two tough training sessions, the Scotland squad were hosted at ‘De Korf’ to watch TOP1 take on DSC1. The home team featuring household-name players like Nick Pikaar and Barbara Brouwer won comfortably 23-14 and booked their place in the Playoffs for the 2018 field season Championship. After seeing the 1st team in action, Scotland took on TOP3/4 in a friendly match later that evening. With all of the squad seeing time on court it was a great chance to put into practice the lessons learnt during the day’s training session. Debuts were given to Bex Fitch and Jena Connolly who were travelling with the National Squad for the first time. An intense match saw some great play from the Scotland team, alongside some mistakes that are to be expected when playing in a new system for the first time but coach Bas Harland was really impressed with how the match played out and targeted areas for improvement in training the next day. The evening saw a little time to relax and bond as a team, with some time spent at the clubhouse with TOP and an evening meal at the hotel restaurant..
Another early morning start, with training going over defensive and offensive systems in order to tighten up areas from the match against TOP. 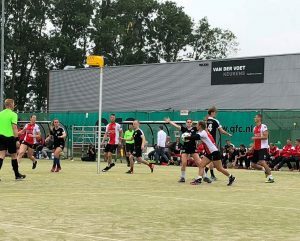 At the end of the session the side were ready to face off against local side Pernix who contained 400% more Lepelaar’s than the Scotland side. The match started and ended in fantastic style, with all of the hard work coming together to end the tour with a 22-15 victory and left everyone feeling proud of their development. Thanks to all those involved in organising this match. A long trip back home, including delays at both airport and ferry terminals, but everyone is now safely back in the UK. 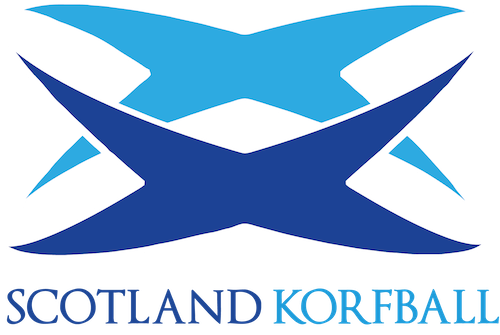 The National Squad team up again with the Development Squad in a couple of weeks with training at Oriam, the home of Scottish Korfball. 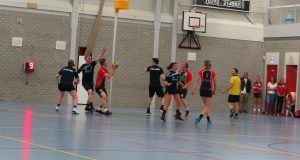 Where all the players are excited to build on the lessons learned over the last month of Korfball action. Our special thanks go to TOP for their time and effort in hosting and assisting us.